Registration is OPEN – 2019 Annual Conference and Exhibition | Recycle Florida Today, Inc.
source click Who Should Attend? does viagra last Who should attend: Environmental professionals from Local and State Governments, Private and Non-Profit Sectors, Program Managers, Recycling Coordinators, Directors, Managers, Consultants, Regulators, and those interested in the business and development of the recycling industry. how to get more words in an essay https://mrl.mit.edu/alumni.php?study=thesis-correction-service What does your registration include? click here Networking breaks include: Two (2) continental breakfasts, three (3) refreshment breaks, one (1) reception, one (1) luncheon, one (1) lunch with the exhibitors, and one (1) networking dinner. *Those who register at the non-member rate will receive membership to Recycle Florida Today, Inc. for the remainder of the year. Memberships expire on December 31 of each year. watch *Student registrations must be made with a university or college email address. enter Conference and exhibitor registration is open NOW! Don’t wait – reserve your exhibit booth and showcase your products, technologies, and services to our attendees. The event will take place at the Hyatt Regency Coconut Point Resort and Spa. Discounted rooms are available at a rate of $169 per night, plus taxes. When reserving your room mention “ https://www.crisiscenter.com/what-we-do/benefit-of-homework/26/ Recycle Florida Today“. Group lodging discounts are available on a first-come, first-served basis for the group discount. Last day to book your room at the discounted group rate is May 16, 2019 and/or while rooms are available. source link IMPORTANT – Recycle Florida Today, Inc., does not use a third party service provider to book your room and we will not call you to reserve your room. A few of these third party hotel and travel companies have been identified – Expo Housing Services, EHM (Exhibitors Housing Management), Convention Housing Authority, Global Housing Services Corp., Global Housing Expo, Corporate Booking Services and others. go site The only official way to secure your hotel room is directly with the Hyatt Regency. 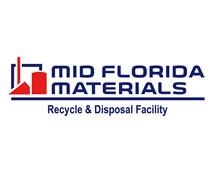 For questions contact RFT at (850) 907-1278 or by email at: info@recyclefloridatoday.org.